This entry was posted in Australia Australia Immigration Visa and tagged Ausrtralia Student Australia Immigration Visa on April 1, 2015 by Blog Author. From time immemorial, Australia has topped the list as the coveted destination for immigrants who wish to settle, work and study in overseas. Every year it welcomes good number of overseas professionals who could contribute in a better way for the growth of country’s economy. Alongside its attractive job opportunities and career prospects, this world-class destination is also widely known for its exquisite environment, beautiful flora and fauna, rich bio-diversity, lucrative pay, resplendent landscapes and many others. Looking forward to building your bright future in Australia? Interested for Australia immigration from India? 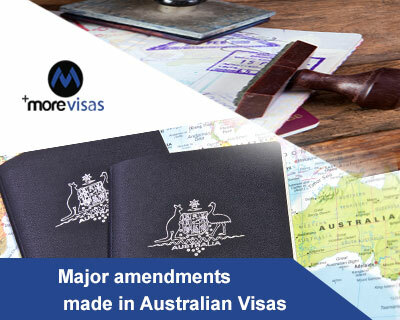 If yes, gain detailed cognizance on the top changes in Australia Visa 2014. The existing government of this Kangaroo Land has made many major changes in its immigration process for international students applying for Australia immigration from India. An overseas student applying for Australia permanent residency has to go through these updated amendments to explore their prowess and discover their passion. Skills evaluation is now applicable for a maximum duration of three years or less. Skill assessment duration for ACS (IT Professionals), AITSL (Teachers) and ANMAC (Nurses) is valid for two years. With the introduction of new work experience perquisites for IT graduates and higher professions, there is less force on these professions. An individual who files an application for high-demand professions such as accounting and IT and have scored a minimum of 60 points has to undergo 2-3 invitation rounds. Post Study Work Visa is must favorable option than a graduate work visa, as it is valid for two years and does not require any skills assessment. Moreover, he or she is not recommended to nominate any of the occupation in the SOL. NSW has recently promulgated that it will move to EOI (Expression of Interest) system by February 2015. Among all visa categories, Skilled Regional Provisional Subclass 489 visa remains as the best option for overseas individuals. As per the ACT and South Australia, almost all the occupations have got filled, and individuals whose applications are in waiting list have to wait until the programs reopen on July 2015. For skilled immigration test scores of TOEFL and Pearson are accepted and for Accountants and Social Workers classes, other alternate English language test scores are accepted. Apart from this, few of the concerned officials of the country are also anticipating to accept the test scores of Cambridge in 2015. Post-qualification: After the successful completion of entry-level degree, he or she is permitted to work for 20 hours in a week. Occupation: Applicants who possess the skills and abilities in skilled occupation list of the country are accepted to seek the work in their relevant fields. Regional studies are much beneficial than vocational sector studies. Those applicants who complete two years of higher studies in the regional province get five additional points. Thus these, applicants can effortlessly attain state nomination from the state nomination from the state where they are pursuing your higher studies. As per the advancement made by the country in 2014, subclasses such as care and non-contributory parent options are reinstated now. For partner visas, it takes around 12-15 months for lodging the application within Australia. As this many amendments are being made in 2014, we expect more new changes in 2015 which would be helpful for every applicant to immigrate trouble-freely. If you want to apply this visa, fill out More Visas Enquiry Form, so one of our visa expert will get back to you.